3417 p., 14,0 x 21,5 cm. 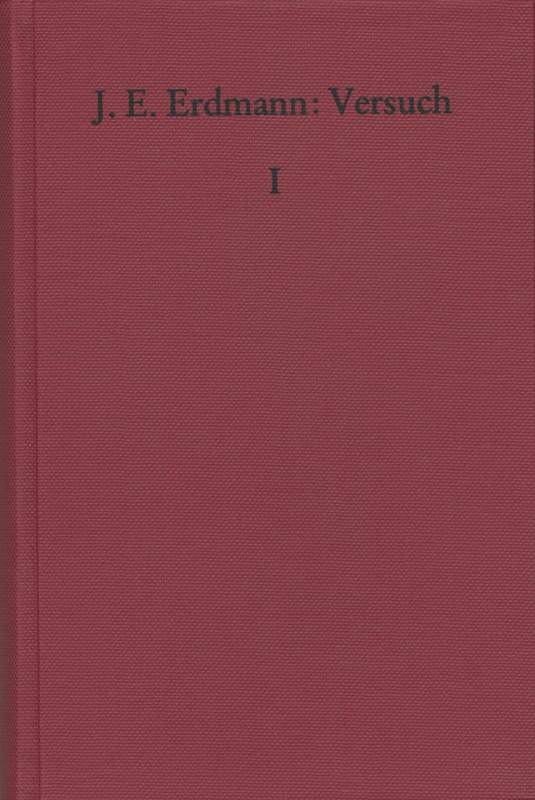 The ›Versuch‹ (Attempt at a Scientific Presentation of the History of Modern Philosophy) by Johann Eduard Erdmann (1805–1892), a fundamental and enduring achievement in the historiography of philosophy, is being published again in a complete edition. In itself a benchmark in the historical development of Hegelianism, this work has retained its excellence in providing information with a wide variety of sources and the precision of its analyses.